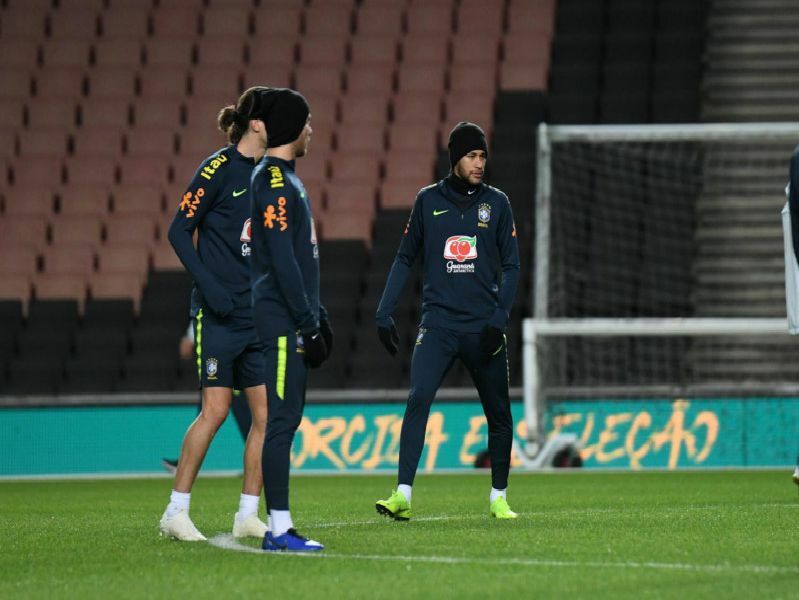 Neymar joined his Brazil team-mates in training at Stadium MK on Monday night. Brazil take on Cameroon in Milton Keynes tomorrow night. Take a look at the best pictures from tonight's training session.